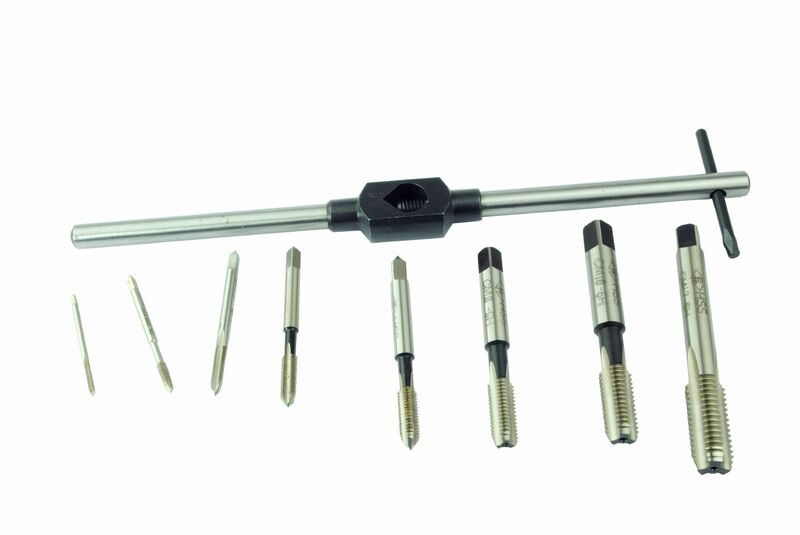 HSS (high speed steel) taps metric m2, m3, m4, m5, m6, m8, m10, m12. You will not be disappointed with the quality of these taps everyone loves them. 1 x 1/2"straight tap wrench total length 240mm.